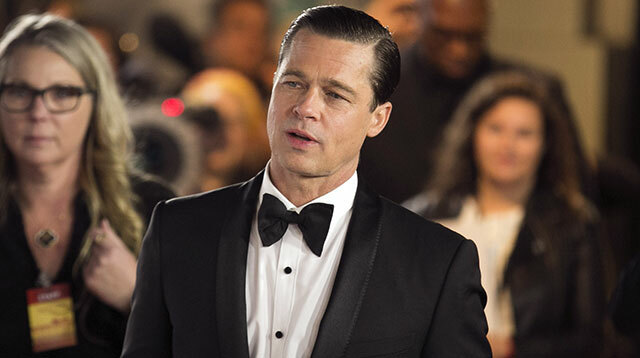 Brad Pitt is allegedly being investigated for child abuse after an anonymous complaint. The actor has six children with estranged wife Angelina Jolie, who filed for divorce from the 52-year-old star citing irreconcilable differences. Angelina's attorney said after the divorce news was made public that she had chosen to end her relationship with Brad for the "health of the family." Now TMZ.com is claiming that Angelina's decision was triggered by a flight last week, September 14, during which Brad is said to have been intoxicated. The two were believed to have been on the aircraft with their six children and according to TMZ, a source told the news outlet Brad allegedly went "wild, screaming and getting physical with the kids." The outlet, which broke the news of the couple's divorce, said "the plane landed at an airport around 8 p.m." and witnesses claim that "Pitt continued his rant on the tarmac, and even tried leaving in one of the fuel trucks." Now Brad is allegedly under investigation by the Los Angeles County Department of Children and Family Services (DCFS), after someone present on the plane or tarmac apparently reported the incident anonymously to the organization. The actor and Angelina have reportedly already been interviewed, with the DCFS also allegedly planning to interview the children as well in their ongoing investigation. The Los Angeles Police Department (LAPD) are also said to be involved in the case, as is the norm when anyone reports a suspected case of child abuse. However, a source close to Brad strenuously denied the allegations, telling TMZ: "He takes the matter very seriously and says he did not commit any abuse of his children. It's unfortunate that people involved are continuing to present him in the worst possible light." The alleged incident on the plane is said to have been the last straw for Angelina, who separated from Brad the next day and filed for divorce just four days later. The actress lists September 15 as the official date of separation on the divorce papers. After news of the divorce went public, Pitt released a statement via People magazine: "I am very saddened by this, but what matters most now is the well-being of our kids. I kindly ask the press to give them the space they deserve during this challenging time."